Vocals: Paul Wayne. Accompanied by the ATN Orchestra Directed by Thomas Tycho. 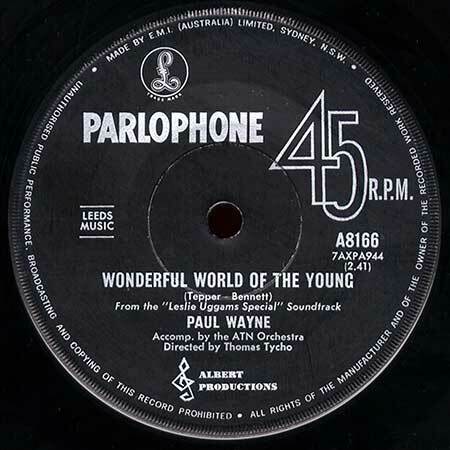 Side a: “Wonderful World Of The Young”. (2:41). (Tepper - Bennett). v: Paul Wayne. Side b: “That’s All”. (2:23). (Haymes - Brandt). v: Paul Wayne.